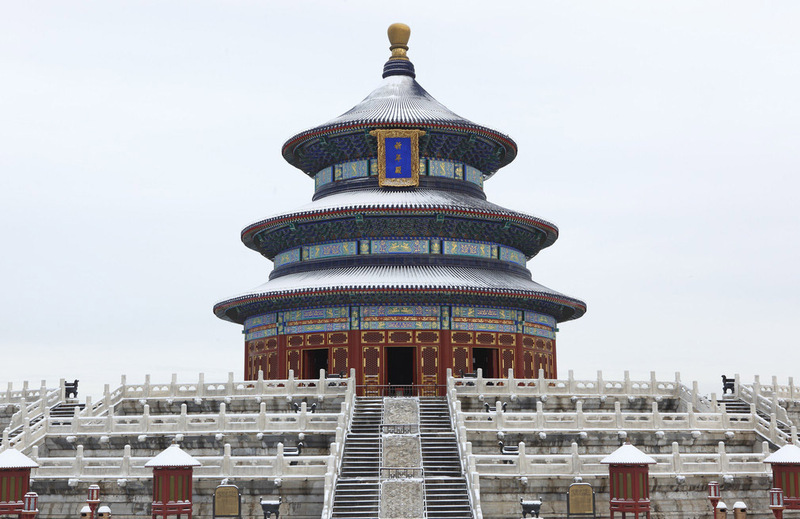 Temple of Heaven, Temple of Heaven Guide, Temple of Heaven Travel Tips, Temple of Heaven Travel Information. 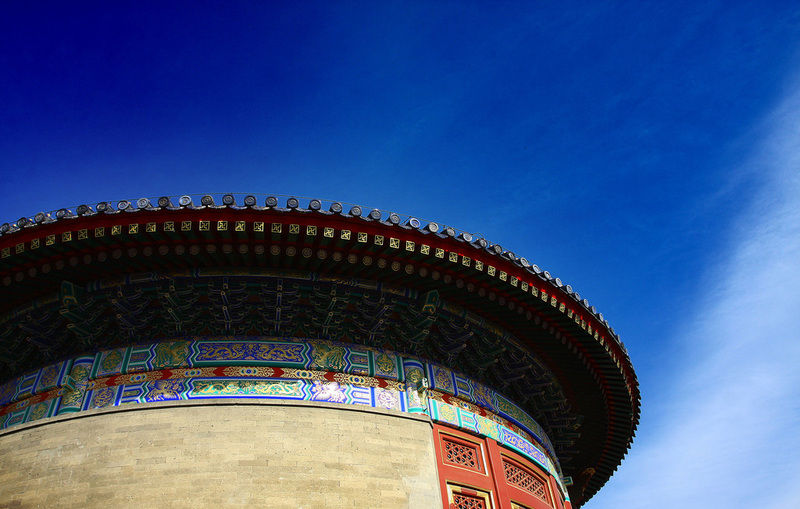 The Temple of Heaven was the place where the Emperors of the Ming and Qing dynasties would worship Heaven and pray for bumper crops. 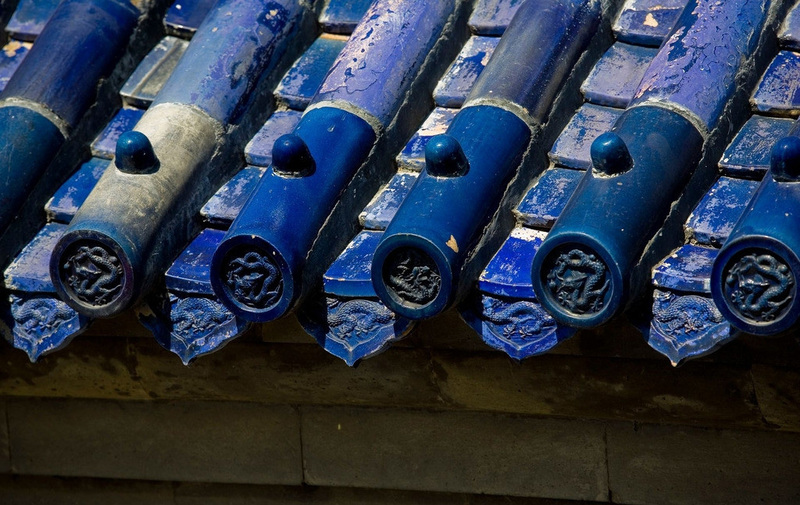 The northern part of the outer surrounding wall is semi-circular in shape while the southern part square, a pattern symbolic of the ancient belief that Heaven was round and the earth square. The double surrounding wall separates the temple into two parts—the inner and outer temples with the main structures in the inner one, covering a space of 273 hectares in all. The inner temple is also partitioned by a wall into two groups of buildings. The north structure is the Altar of Praying for Bumper Crops with the Hall of Prayer for Good Harvests as the principal building used to pray in spring for a bumper harvest in the year. The south structure is the Circular Mound Altar used to worship Heaven at the winter solstice where the principal construction is a large round marble terrace named the Circular Mound. The two altars, connected by a 360-metre-long raised walk called the Red Step Bridge, are arranged in a line forming a north-south axis 1,200 meters long, and flanked by century-old cypresses in a spacious area. 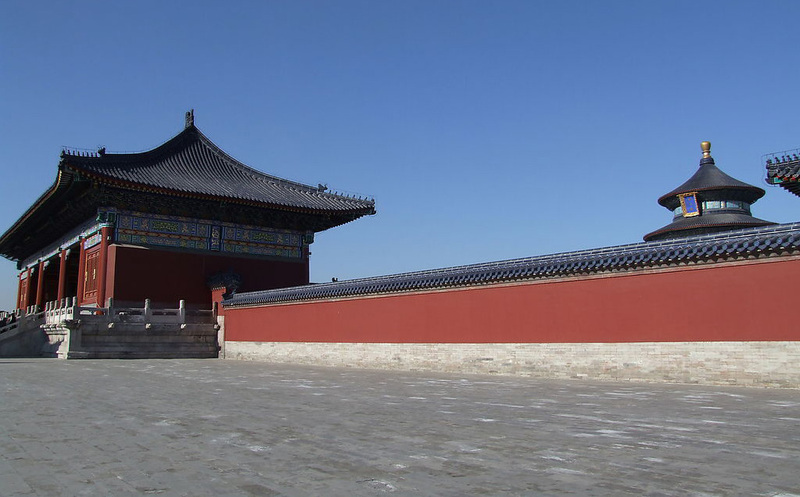 To the inner south of the West Celestial Gate is the Abstinence Hall where the feudal emperors observed abstention before the rituals. In the western part of the outer temple is located the Divine Music Office, which was in charge of the teaching and performance of the ritual music. 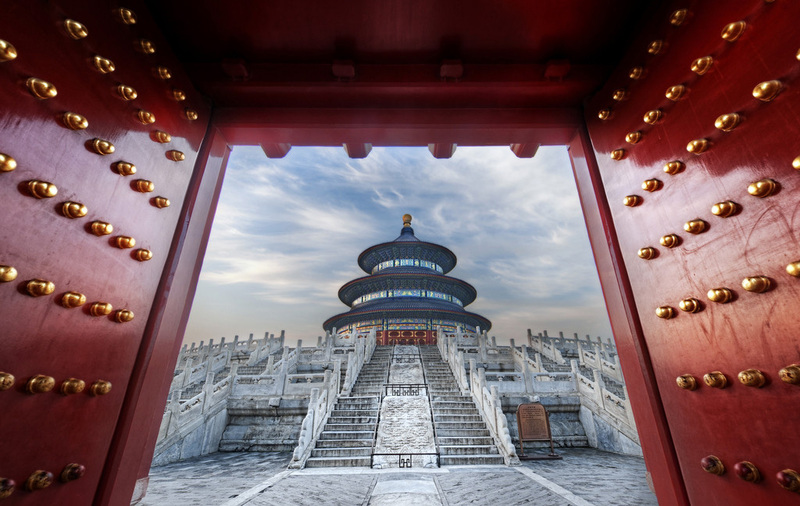 In the Temple of Heaven are situated such main buildings as the Hall of Prayer for Good Harvests, the Hall of Heavenly Emperor, the Circular Mound, the Imperial Vault of Heaven, the Abstinence Hall, the Beamless Hall, the Long Corridor, the Longevity Pavilion in a double ring shape as well as the Echo Wall, the Three Echo Stones, and the Seven Meteoric Stones. Built first in 1420(the 18th year of Emperor Yongle’s reign of the Ming Dynasty), and then expanded and reconstructed during the Ming Emperor Jiajing’s reign and Qing Emperor Qianlong’s reign, the Temple o0f Heaven is a grand and magnificent masterpiece of architecture with a formal and solemn environment. 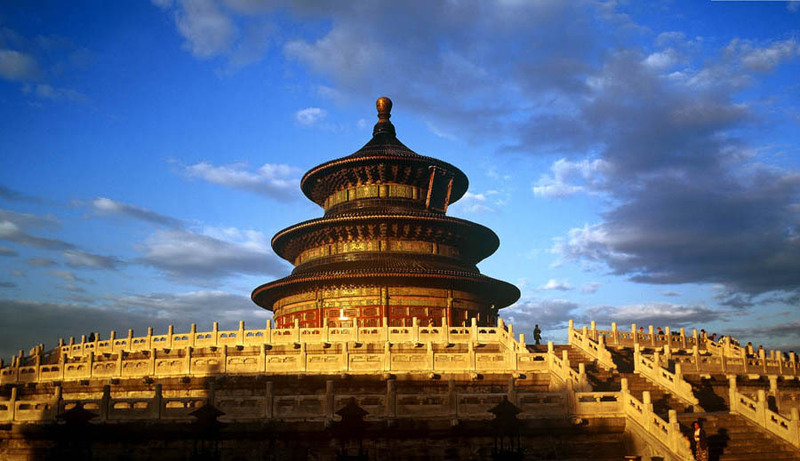 A masterpiece of the Ming and Qing architectural art and a precious example of China’s ancient architecture, the Temple of Heaven is the largest architectural group for worshipping Heaven in the world. 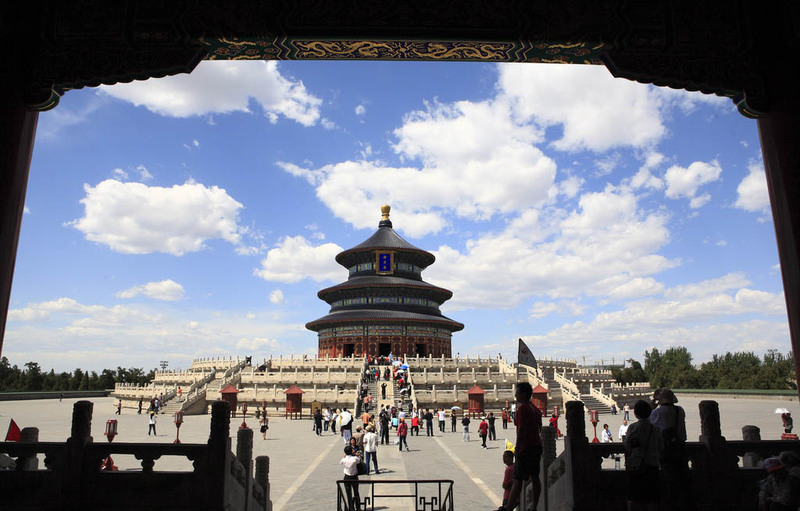 In 1961, it was listed by the State Council as “one of the key monuments under the state protection”. In 1998, it was recognized by the UNESCO as “one of the human heritages of the world”. Opening Hours: 06:00-22:00 for the park; for visiting: Mar.1 to Jun. 30: 08:00 - 17:00; Jul. 1 to Oct.31: 08:00 - 17:30; Nov.1 to Feb.28/29: 08:00 - 16:30.